Garlic and Ginger Edamame will be yours for the snacking and here is everything you’ll need: About a pound of Edamame in the Pod (I got two 10 ounce bags, because 10 ounces wasn’t quite a pound and can you ever have enough edamame…nope! 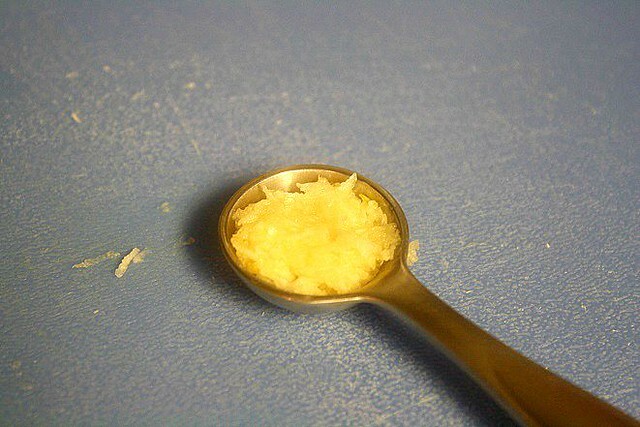 ), Olive Oil, Coarse Sea Salt, Fresh Ginger, and 1-2 cloves of Garlic. Start off by cooking your edamame according to the instructions on the package. 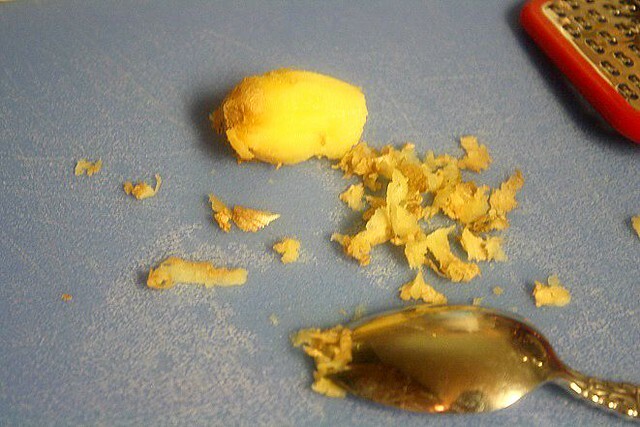 While it cooks, peel some fresh ginger. The easiest way I found is to take a spoon and scrape the peel off like you see above. 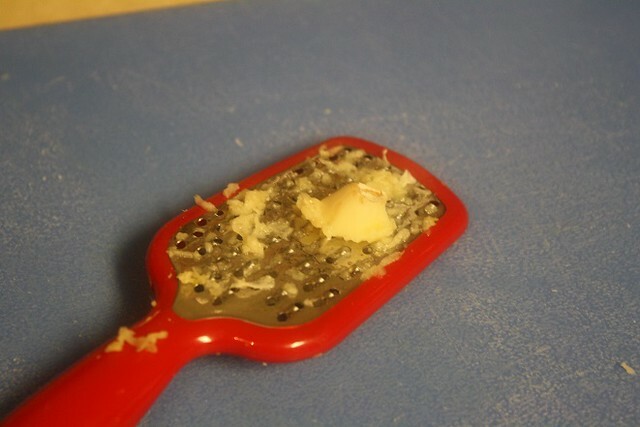 Then use a microplane grater or small grater and grate the fresh ginger. Here is the ginger measured out. You’ll want about a teaspoon. Next up is the garlic. Remove the peel and grate the garlic. 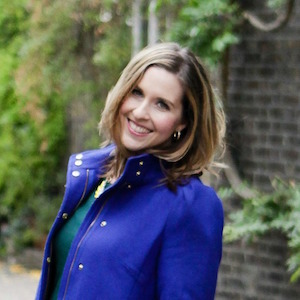 Again you’ll want about a teaspoon of it. One large clove or 2 small ones should suffice. 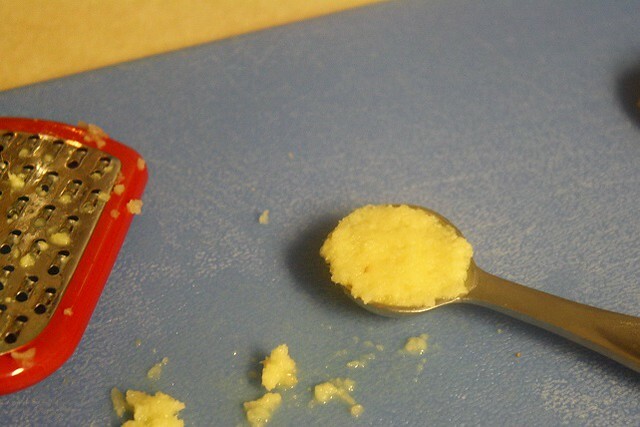 Then measure it so you have a teaspoon or so. 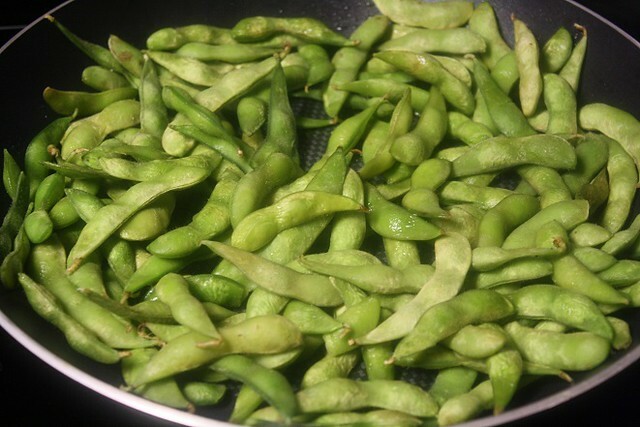 Once your edamame is cooked (steamed or boiled), let it drain in a colander. Grab a large skillet and start heating it over medium-high heat. 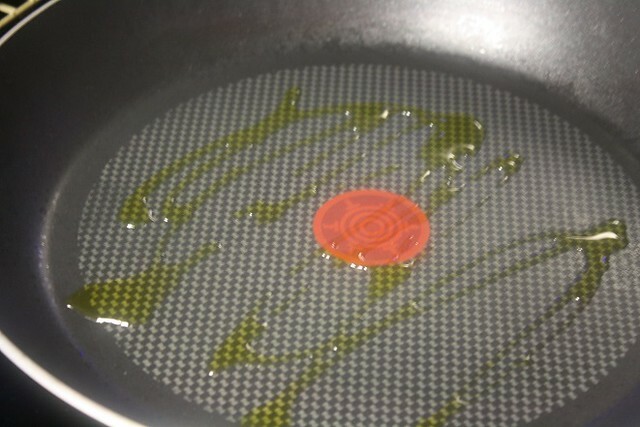 Drizzle a tablespoons of olive oil in the hot pan. 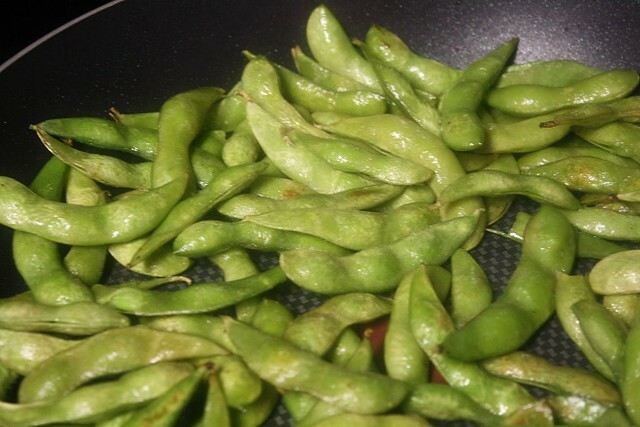 Then add the edamame to the pan in as close to a single layer as you can get and listen for the sizzle. 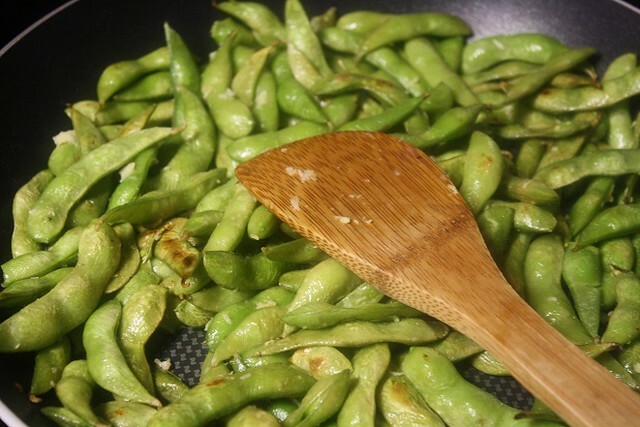 Stir every 2 minutes to allow the sides of the edamame to brown a bit. It took about 6 minutes or so and the edamame was getting some color on it. Yay! Then add the grated garlic and ginger to the pan. 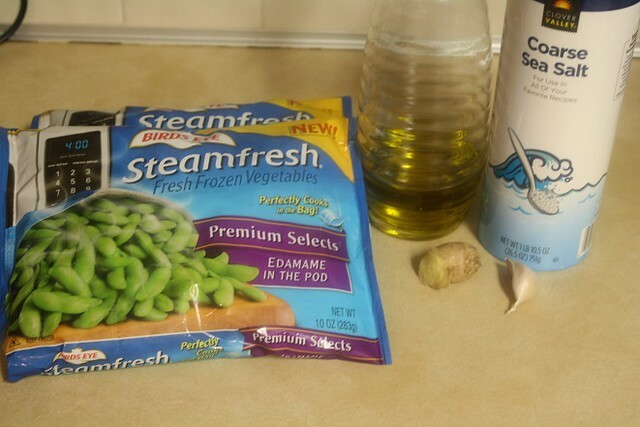 Stir to combine the ginger, garlic, and edamame. Turn off the heat and continue to stir for about 2 minutes. 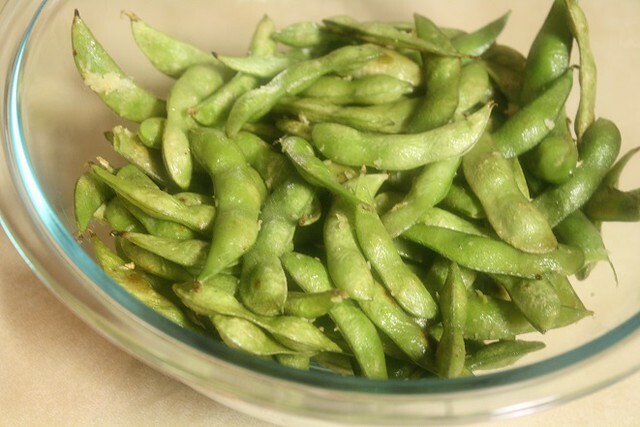 Transfer the edamame to a large bowl and let it cool for about 10 minutes. 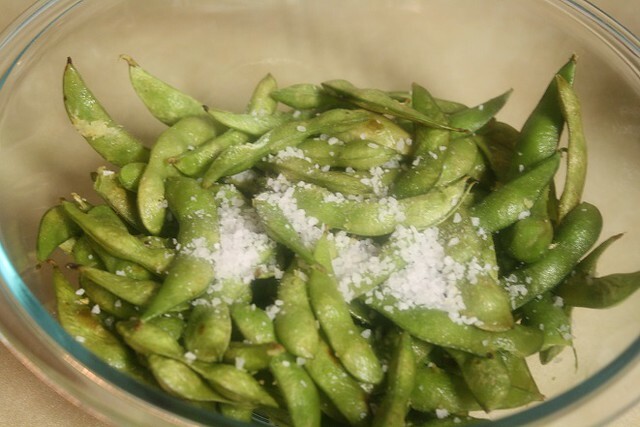 Add about 2 tablespoons of course sea salt to the slightly cooled edamame and toss until the salt is mixed in. And serve while the edamame is still warm. Happy snacking! Begin by cooking your edamame according to your package directions. Mine were steam in the bag, but some have you boil them, so be sure to read the package. 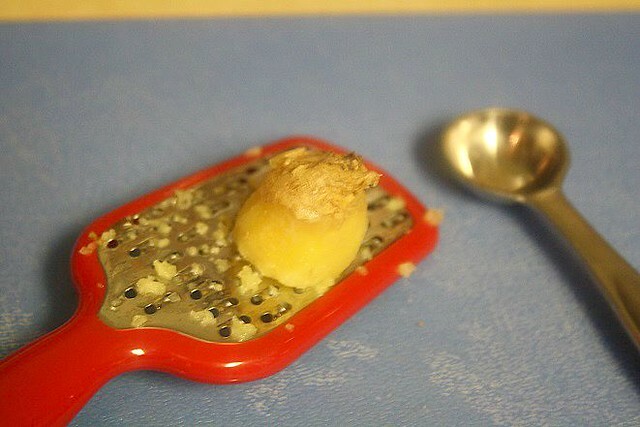 While the beans cook, grate your garlic and ginger. Heat a large skillet over medium-high heat and add a tablespoon of olive oil. 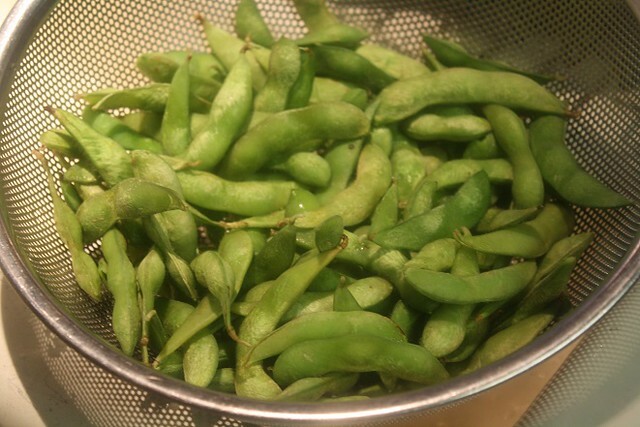 When the edamame are cooked, drain them in a colander to remove excess water. 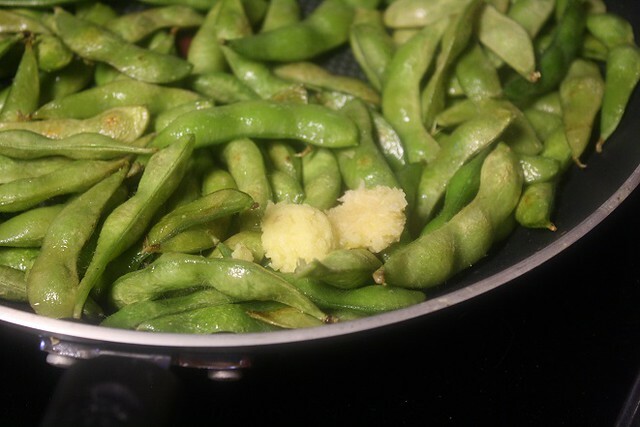 Add the drained edamame to the hot pan and place in a single layer. Stir them every 2 minutes or so, allowing time to brown them on each side. This part took about 6 minutes for me. 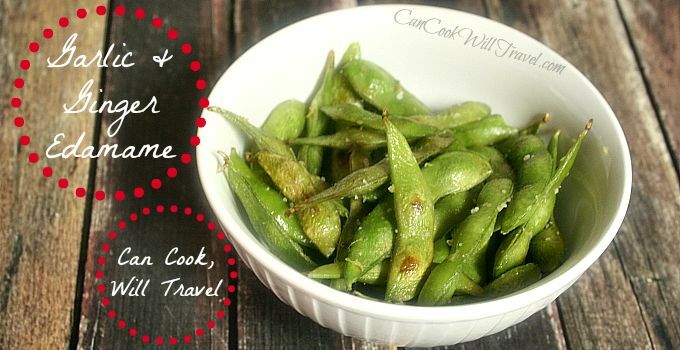 Add the grated ginger and garlic to the edamame and combine so the beans are well coated. Then turn off the heat and continue stirring for 2 more minutes. Pour the beans into a large bowl and let them cool for about 10 minutes. Once they are cool, toss with 2 tablespoons of coarse sea salt and enjoy while they are still warm. You'll want to have an extra bowl for the empty pods as you eat. Enjoy! The recommended kitchen tools include a microplane or small grater and a good quality, large skillet.